I grew up in Harrisonburg, Va. The first time I heard about Goshen was from my parents. They went to Goshen College, and that’s where they met. 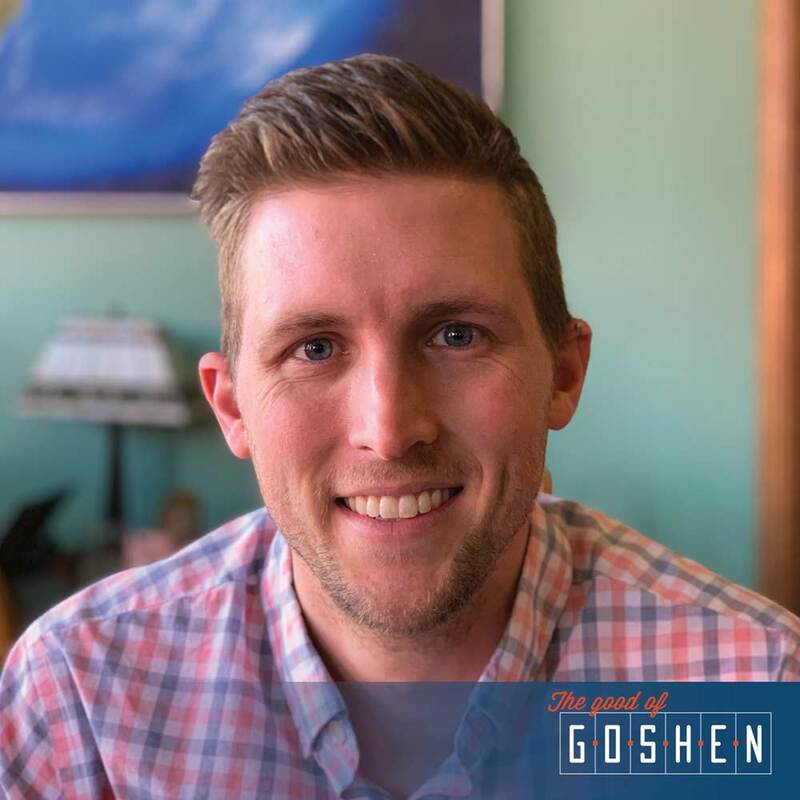 When it came time for me to go to college, I looked into Goshen and really liked it. I came out here in 2006, graduated in 2010, and I met someone who’s from the area (Bristol), my wife Lauren. We were out in Oregon for about two years after college, but then we moved back here to be close to her family. I work at Everence. My title is digital experience designer, so I work on all their digital properties and make sure it’s a good user experience, that it’s intuitive. I was brought on six or seven months ago as part of ramping up Everence’s digital strategy. Lauren and I run a side business named Laser Fox Studio. We laser-cut wood and acrylic to create jewelry, artwork, and custom creations. We just started last year and do everything out of our house, but hope to continue to grow and move to a larger space someday! I enjoy playing soccer, and I’m really excited about what Goshen Soccer Academy is doing. I also really enjoy playing board games and card games. I have three sons and my oldest is 6 now, so he’s old enough to start getting into more strategic board games, so I’m introducing him to those. That’s a lot of fun. The Mennonite Game Card Game was a game I made in my free time. It came out of a desire to have a final product and design something. I like to illustrate. I grew up Mennonite, so it’s something I’m familiar with and know about. Designing, illustrating, all of that together to make a final product – that’s kind of what the game came out of. I love that there are so many parks in Goshen. I especially like going down the millrace, down to Shanklin Park. We love walking around downtown and down the millrace. For Goshen’s size, I feel the downtown is a thriving area. First Fridays is awesome. It’s so great to have those regular events throughout the whole year, to kind of gather everyone around and get excitement around those Fridays. It’s sad that Better World Books is closing, but I feel optimistic that someone in Goshen will have a great idea to move in there.